STERILISER NI BOLEH DIGUNAKAN UNTUK STERILISE (BASMI KUMAN) ATAU KUKUS MAKANAN. Large capacity– Holds up to 12 standard neck bottles or 7 wide neck bottles. Can use double deck for a larger capacity or single deck for a compact capacity. Autumnz – Electric Steam Steriliser + Home & Car Warmer Combo on SALE RM199 ONLY! Buy 2-in-1 Autumnz Electric Steam Steriliser/Food Steamer + Home & Car Warmer and make huge savings! 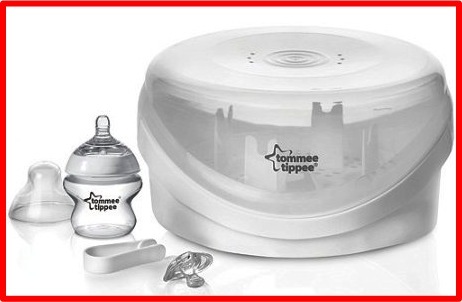 Tommee Tippee Closer To Nature Microwave Steriliser RM155!